Featuring 4GB of high-speed GDDR5 memory, the AMD Radeon™ HD 6990 is the definitive solution for ultra-high resolution gaming across up to six simultaneous displays. Expand your favorite games across up to six displays with AMD Eyefinity technology for an incredibly expansive field of view. See more of the battle than ever before with up to six simultaneous displays enabling an intense “wrap around” experience to put you right into the game. Get more done. Put your productivity into overdrive and let up to six displays put all the information you need right before your eyes. Don’t choose between play and work. Let up to six displays help you enjoy games, movies and the web at the same time. Accept nothing less than the best. With dual GPUs and 4GB of ultra-fast GDDR5 memory, the AMD Radeon™ HD 6990 enables flawless detail and unrivaled performance in the most demanding DirectX® 11 games. 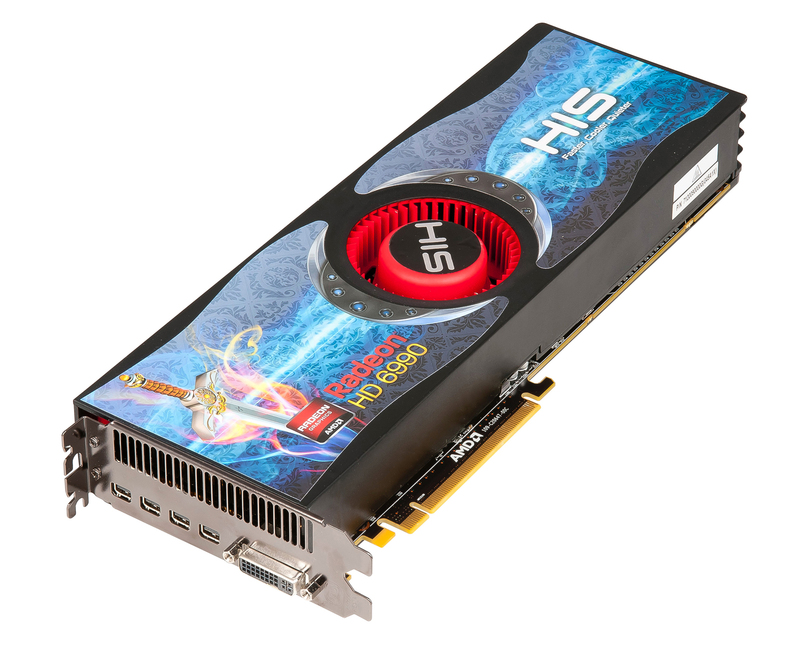 Harnessing the incredible power of dual GPUs with full support for DirectX® 11 and scalable geometry processing, the AMD Radeon HD™ 6990 is simply the fastest graphics processor in the world. With unrivaled frame rates and flawless graphics, the AMD Radeon™ HD 6990 is the definitive solution for uncompromising gamers. Leave no performance behind. Take control of the AMD Radeon™ HD 6990 with AMD PowerTune technology, an exceptionally intelligent power management system designed to optimize GPU performance. Maximum efficiency. Maximum performance. AMD PowerTune technology in the AMD Radeon™ HD 6990 puts exceptionally intelligent power management under your control. Set the bar for beautifully smooth image quality with Enhanced Quality Anti-Aliasing (EQAA) on the AMD Radeon™ HD 6990. With quad advanced programmable tessellation engines, the AMD Radeon™ HD6990 is engineered to deliver astonishing geometry processing performance. Get more from your system than incredible gaming. 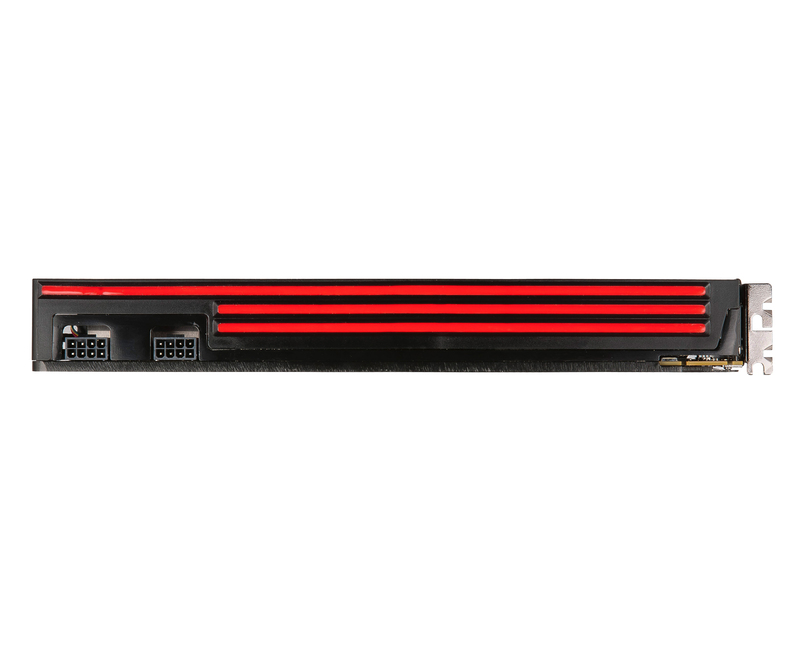 AMD Accelerated Parallel Processing (APP) technology taps into the tremendous power of the AMD Radeon™ HD 6990 for stunningly fast applications and pristine video. With world-class support for IEEE 754 double precision floating point ops, the AMD Radeon™ HD 6990 is equipped to dominate computationally intense workloads. Perfect your online and Blu-ray video experiences with an unprecedented level of smooth visual quality with AMD EyeSpeed visual acceleration technology. 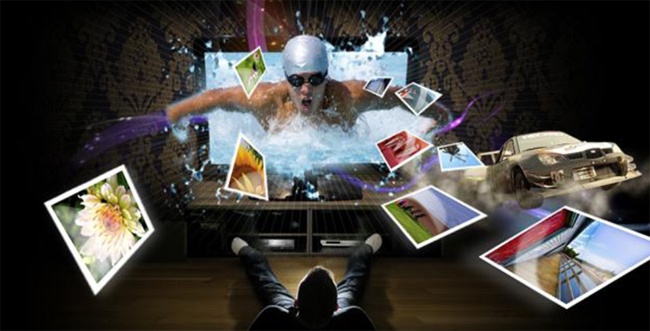 Experience Blu-ray 3D exactly as it was intended with AMD HD3D technology. Take advantage of Dolby TrueHD and 3D HDTV support in the AMD Radeon™ HD 6990 to create that theatre-quality experience. Get unrivaled gaming performance and flawless image quality with stunning 3D visual effects, realistic lighting and lifelike imagery, driven by the incredible power of dual GPUs with full support for DirectX® 11 and scalable geometry processing technologies. 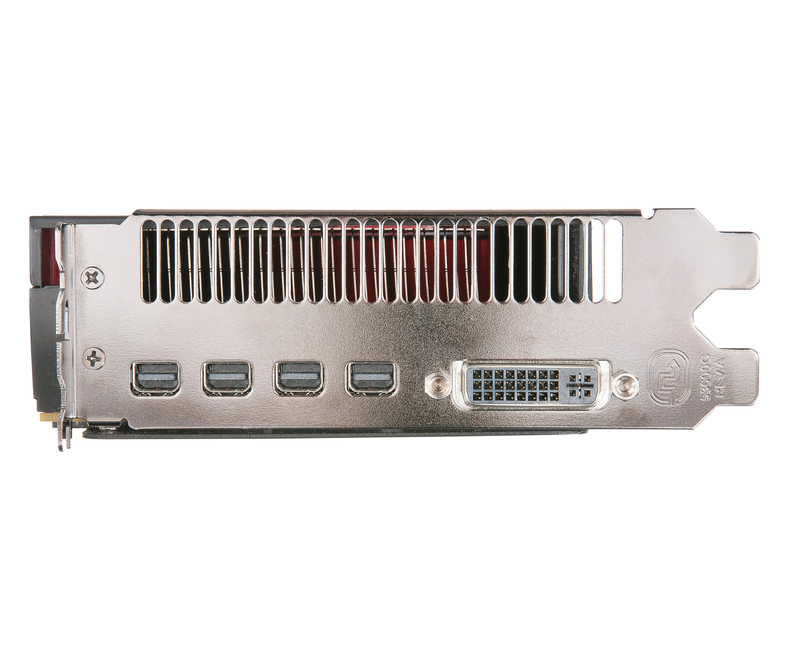 750 Watt or greater power supply with two 150W 8-pin PCI Express® power connectors recommended (1000W and four 8-pin connectors recommended for AMD CrossFireX TM technology in dual mode. 1200W recommended for optimal performance). 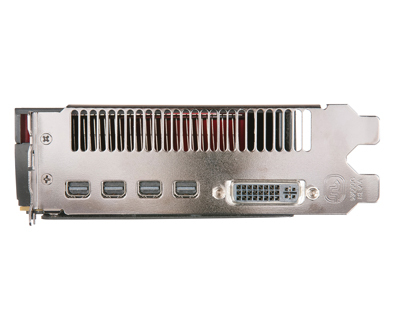 Use of 3 or more displays with AMD eyefinity technology requires a Display Port-capable panel or an AMD Eyefinity validated dongle. See http://www.amd.com.EyefinityDongles for a list of validated Display Port dongles. 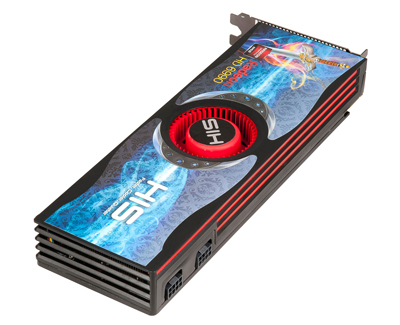 Excellent Graphics Card, I had 2 of these running in quadfire and i could play anygame on the highest settings smoothly without stuttering or problems. I played crysis 2 with the DX11 patch and the High resolution Texture packs at constant 60fps. definitely reccomend this for the gaming enthusiast. The Fastest Card on a PLANET ! - 3 years warranty "
"This card is the top of what AMD can offer, a monster of performances." PC Jeux "88% Score"
CHIP Digital Magazine "Excellent Award"
"In the majority of the benchmarks we ran, the HIS Radeon HD 6990 took the top spot, with the GeForce GTX 590 trailing closely behind...If you’ve got the coin and understand the nature of the beast, the HIS Radeon HD 6990 is a powerful graphics card that offers top-notch performance." Hot Hardware. "Recommended Product"
"Performance wise, the card delivered and was easily on par with Nvidia’s GTX590 alternative and its higher framebuffer gave it the edge at higher settings." Vortez "Silver Award"
"HIS Digital HD6990 performs exceptionally well. The HD6990 from HIS Digital clearly has bags of performance available to it as even the seriously strenuous games could be run at fearsome image quality settings and 5760x1080 resolution, but still give us playable frame-rates. That immense performance is enough to give the HIS Digital our OC3D Performance award." Overcloker3D. "Performance Award"
"The HIS ATI Radeon HD 6990 is big, brash and very-very powerful. It'll require a sizeable PC (both in terms of size and PSU), and you won't want it anywhere where operating noise is an issue...rich gamers will find it a big investment they can't resist. 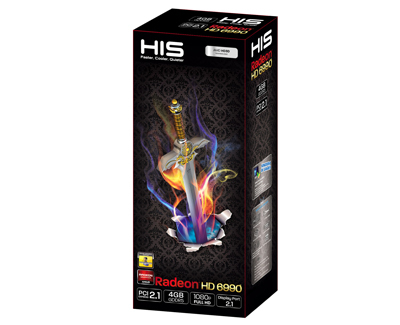 "-PC Advisor "4-stars Product"
"the Radeon HD 6990 is shared by two DirectX graphics processors. A doubling of the power is indeed associated, but is a smooth display even at high resolutions and quality settings possible. This bought one with a high power consumption and volume. "- PC Go "Very Good Product"
"HIS has done a fantastic job with the package by including a load of convertors that are going to make getting the card up and running straight away with any monitor an absolute breeze. 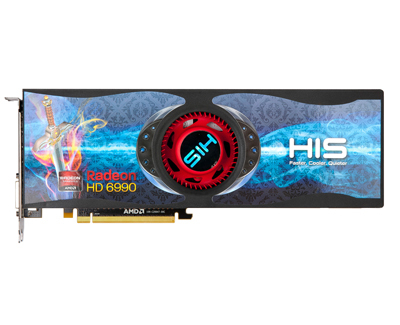 As you would expect, the HIS HD 6990 4GB is a fast card and overall just a great card for people who demand power." - TweakTown "Best Performance"
"HIS delivers a very complete package with all kinds of VGA/DVI/HDMI/DP adapters to make sure you can connect this product to pretty much any monitor, even if you choose eyefinity. That was very nice to see.HIS Radeon HD 6990 is pretty extensive and the performance is phenomenal when that 2nd GPU kicks in and if you like to go really wild with multiple-monitors then this product is starting to make a whole lot of sense. Complete l33t and g33k stuff alright !" - Guru3D "Top Pick"
"HIS HD6990 in most games the scaling is extremely impressive, especially when we move to a four screen setup at 7680 resolution. Titles such as Crysis Warhead improved noticeably, meaning we could actually raise the image quality a little more if we wanted. If you have a single 30 inch screen, then one of these cards is more than enough. If you want some future proofing and plan on getting four or even five screens then two of these cards is actually a reasonable investment." -KitGuru "Must Have Award"